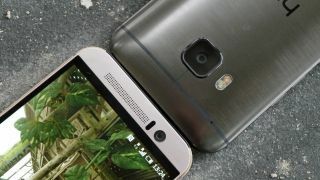 The HTC One M9 is a solid (if rather unexciting) smartphone, but it's just got quite a bit better thanks to a new update HTC has launched today which brings a number of improvements to the handset, and especially the camera. The software (version 1.40.401.5 for the number fans out there) is being made available over the air, and HTC One M9 owners in Europe, the Middle East and Africa will be able to download it right now, with North American owners getting it later this month. As part of the update the camera on the One M9 is being improved with an emphasis on fixing the auto-exposure balance, which will prevent your snaps from looking washed out. Noise and blur in photos taken in low light conditions have also been reduced, so if you're a night time snapper you're going to be pleased with how your photos now look, as they will be clearer and contain more detail. On the other end of the spectrum, if you like taking photos in extreme lighting conditions then you'll also want to download this update, as it reduces the yellow and green hue in photos taken in extremely bright lights, giving the pictures a more natural colour. If you're a Facebook addict, or love watching YouTube videos on your HTC One M9, then there's some more good news with this update, as power consumption by those two apps has been reduced which means your battery is going to last longer. Heat management when charging has also been improved, so the HTC One M9 won't get quite so toasty when your topping up the battery. It's a pretty great update, then, and one you'll definitely want to get on your HTC One M9 as soon as possible, though the update doesn't bring Android 5.1 – so you're still on the slightly older Android Lollipop 5.0.2. We should hopefully see another update that brings the very latest version of Android Lollipop to the HTC One M9 soon.